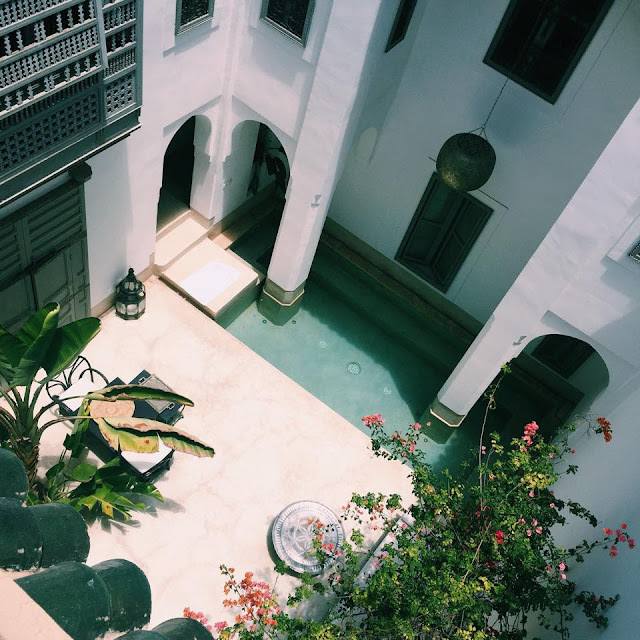 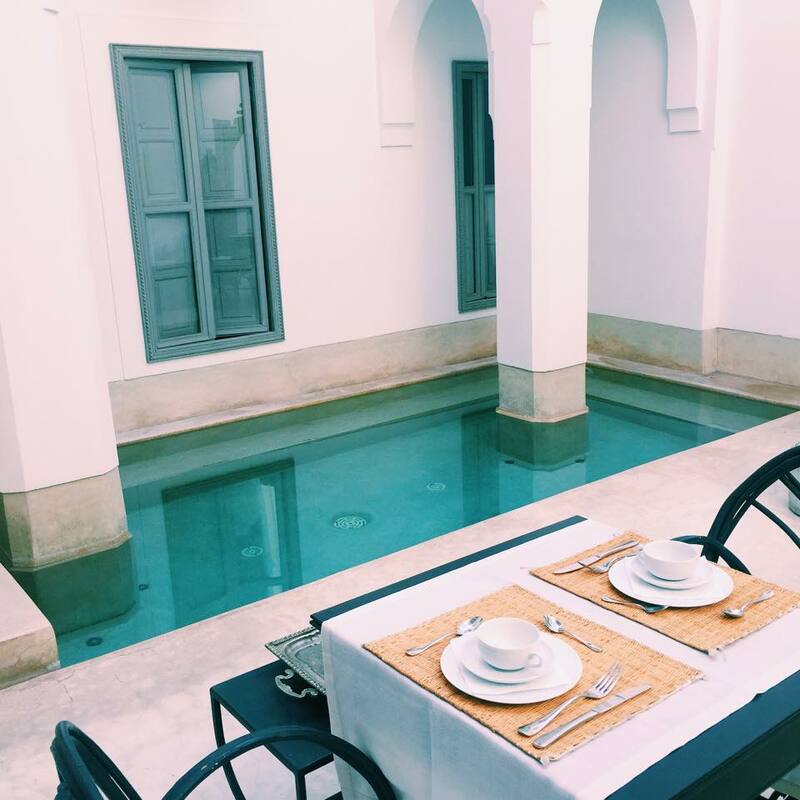 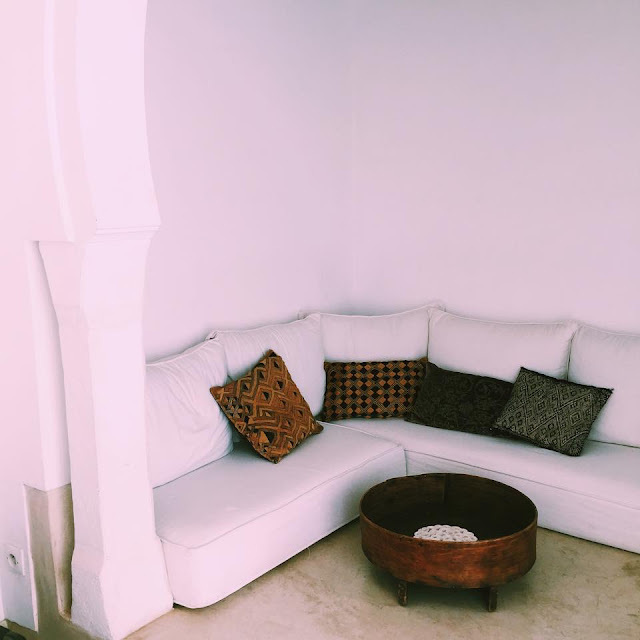 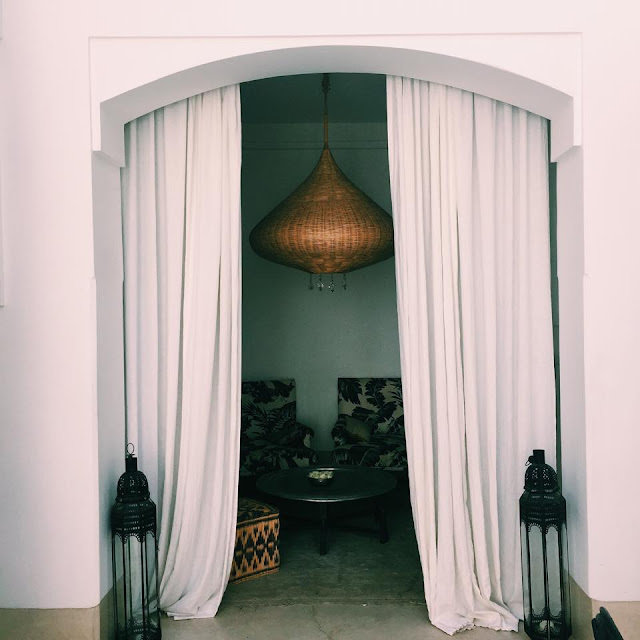 Whilst we were in Morocco, we stayed in the most perfect little Riad tucked away in the heart of the Medina. 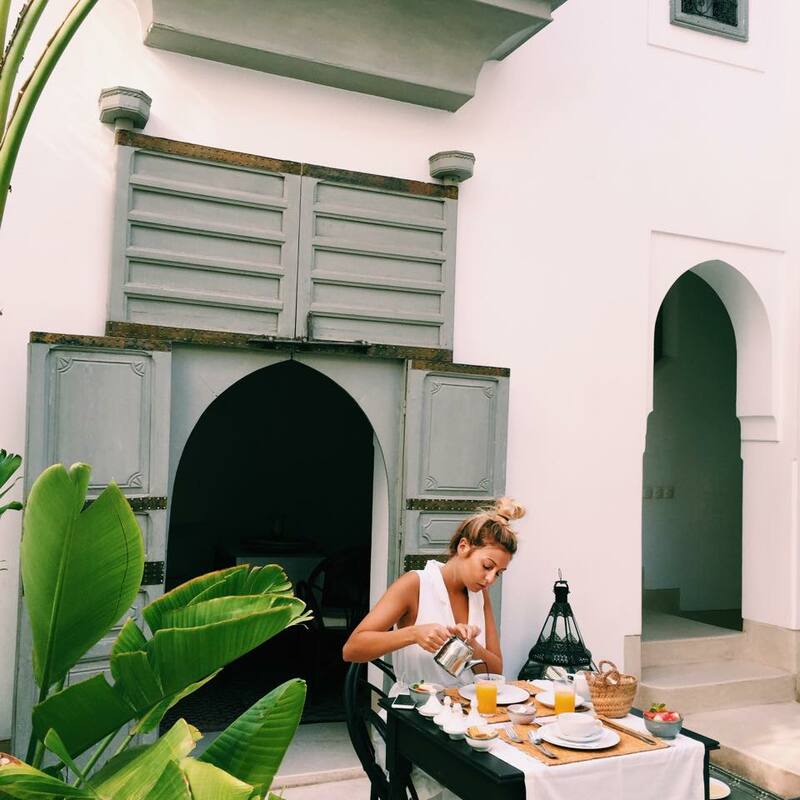 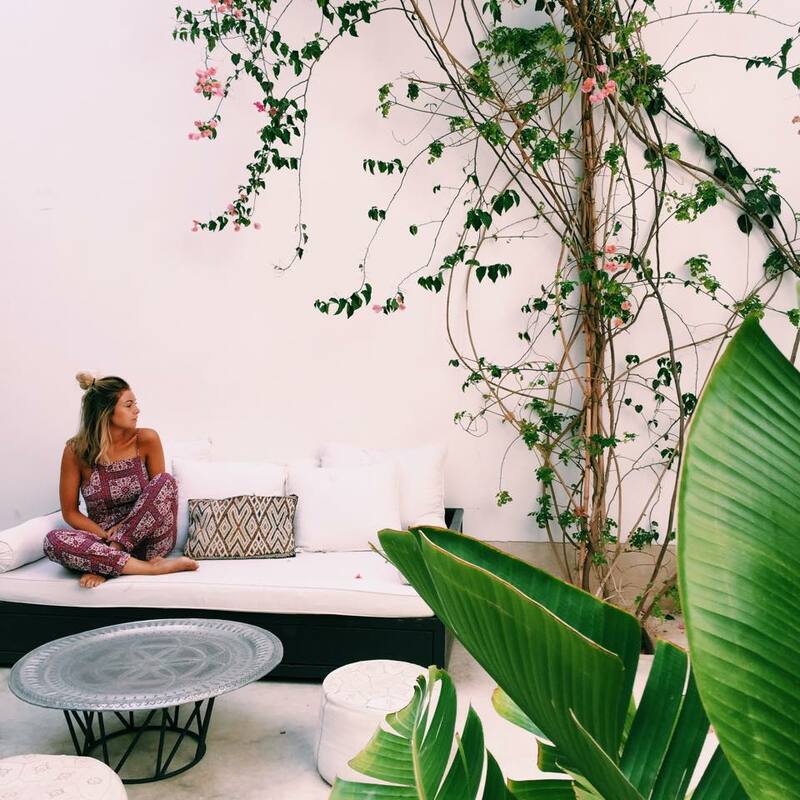 As we were only there for three nights, we wanted to make sure we chose a tranquil place hidden from the hustle and bustle of Marrakech. 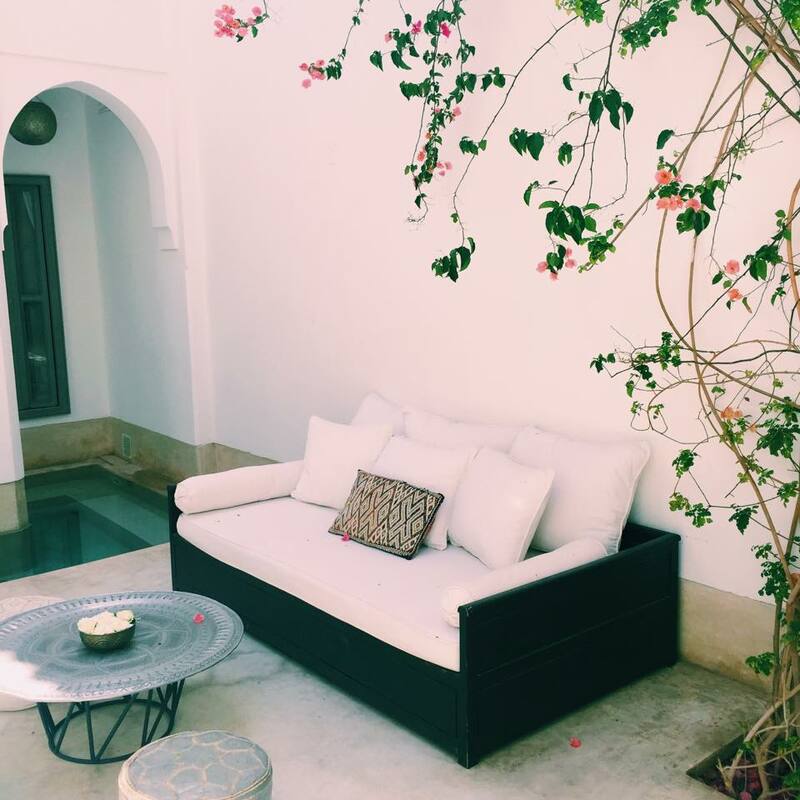 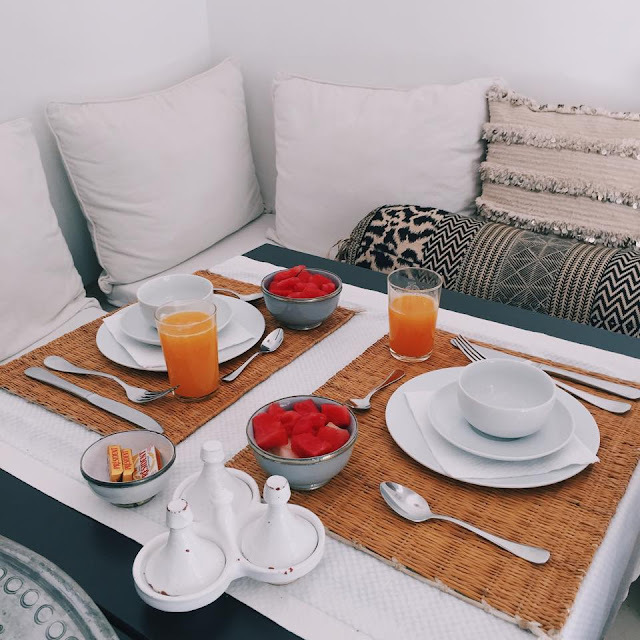 There is definitely only one word that sums up this Riad..."heaven". The heat, at its peak, reached around forty degrees, which meant that the pool was perfect for cooling down in the afternoon. 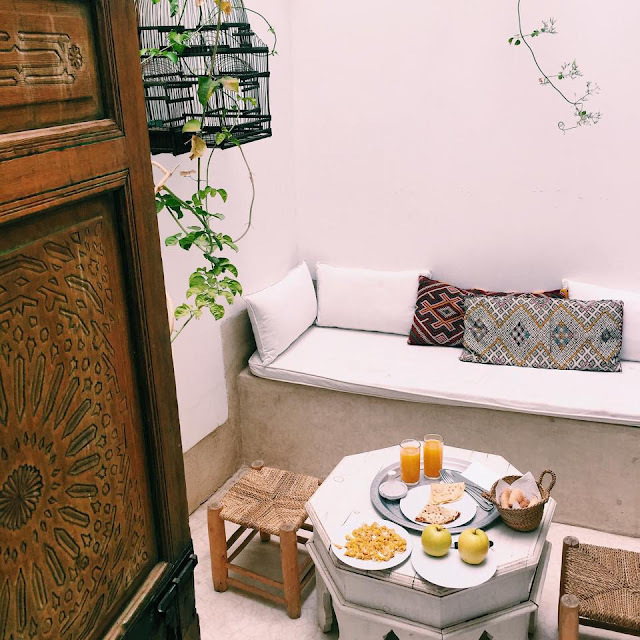 We had our own private patio where we had afternoon snacks and planned our evenings out in the city. 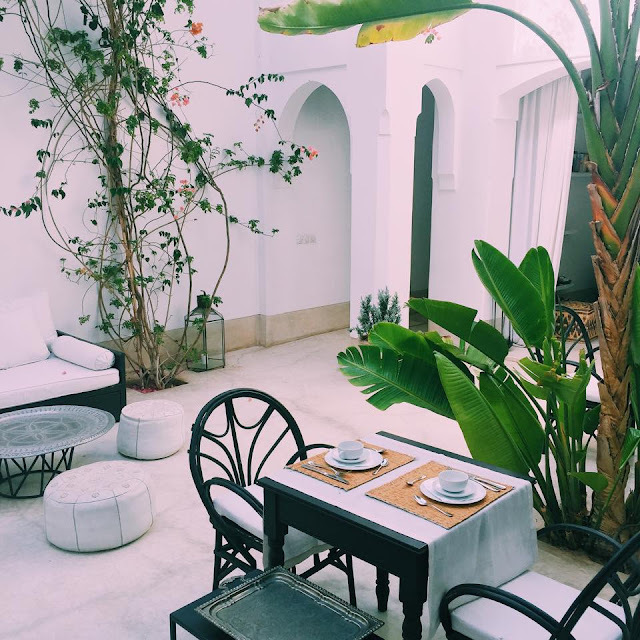 The best part of the Riad had to be the roof terrace, which gave us an incredible view out over the Medina. We spent a large proportion of our time in the Riad on the rooftop, drinking mint tea and watching the world go by. Time to plan the next adventure.